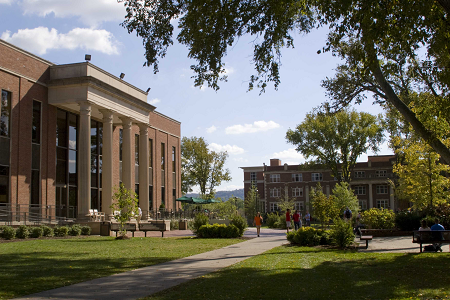 Located in the Green Hills section of Nashville, Lipscomb University is a Christian liberal arts college with 4,500 students (about 3,000 of whom are undergrads). It boasts women's and men's Division I athletics, a 12-to-1 student-to-faculty ratio, and bachelor's degrees in nearly 80 majors. It also takes religious practice seriously; full-time students must enroll in service-learning courses, attend weekly chapel services, and take classes on the Bible as part of their general education requirements. Describe the type of student who should not attend Lipscomb University and explain why. Describe the type of student who should attend Lipscomb University. Why? What is a typical Lipscomb University student like? Describe the type of person that should attend Lipscomb University. A typical Lipscomb Student is someone who is very passionate about life and determined to work diligently in school. What are the top 3 reasons someone should attend Lipscomb University? What was a typical Lipscomb University student like in high school? Describe the type of person that should attend Lipscomb University. Lipscomb is a top-notch Christian university located in Nashville, TN, a city that you'll love. Lipscomb consistently ranks in the top 20 of US News' regional universities in the South category, and in 2015 was ranked as one of the top 10 Christian universities in the country by College Choice. What are the top 3 things that students do for fun at Lipscomb University? We love to fellowship outside and have picnics. We love to work with community outreach programs to help people in Nashville. We love to study and eat delicious food at the same time. The average student pays $22,243 for tuition, fees, and other expenses, after grants and scholarships. Total stated tuition is $24,234, in-state and on-campus, before financial aid. Learn more about financial aid at http://financialaid.lipscomb.edu. Estimate the net price for you at http://www.lipscomb.edu/financialaid/page/index/10729. The typical (median) early career salary of Lipscomb University graduates is $40,600, according to Payscale. Lipscomb University participates in the NCAA Division I-AAA for college athletics. Want more info about Lipscomb University? Get free advice from education experts and Noodle community members. I want to enter the Lipscomb University Pharmacy Program. What will the admissions staff be looking for regarding academics? A list of admissions requirements for the Lipscomb University Pharmacy Program may be found at http://www.lipscomb.edu/pharmacy/requirements.